The Feast of the Fields - 2013 Cornfield Edition event was held on Saturday, June 8, 2013. 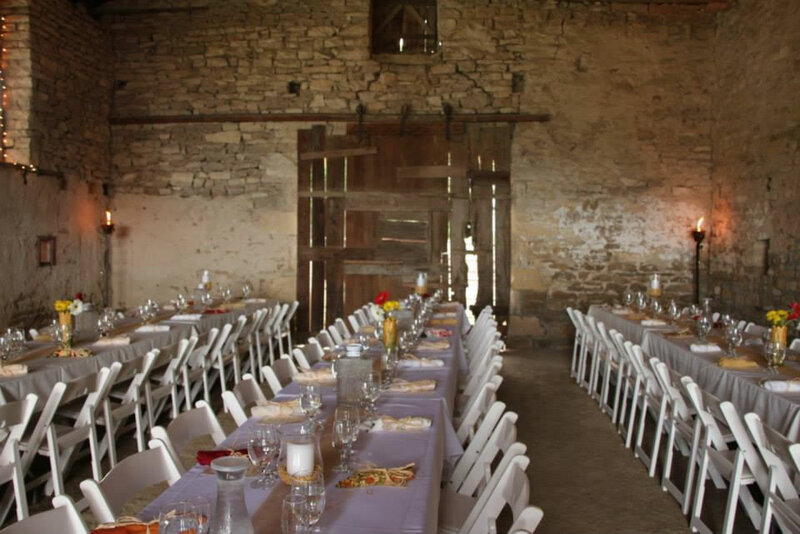 Although the weather prevented us from setting up in our cornfield, we were able to move everything into our limestone barn and it served as an excellent and beautiful back-up venue. The rain began to fall just as dessert was being enjoyed. How wonderful to have a Kansas thunderstorm/rain shower during the feast— I understand it was the first feast to have rain! 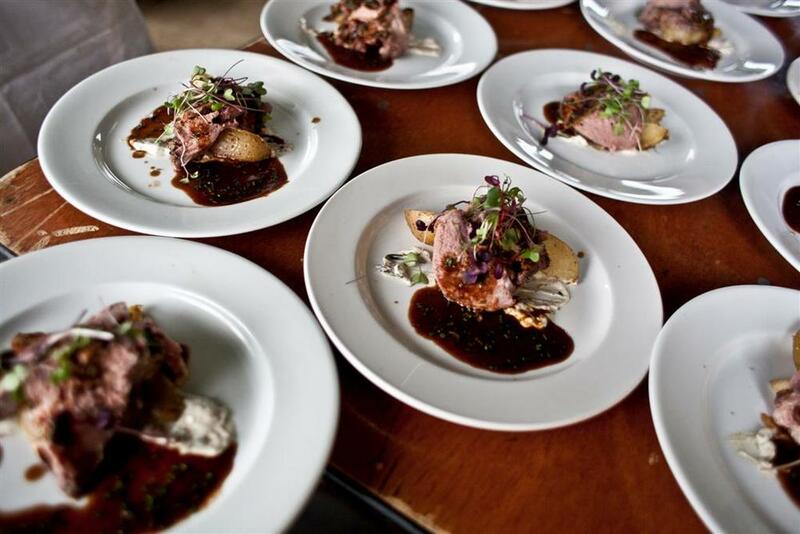 The food was extraordinary: delicious and adventuresome. We always find the company pleasing. Expect us back for the fall feast. Thank you for the many hours it takes to host such a fabulous dinner party. 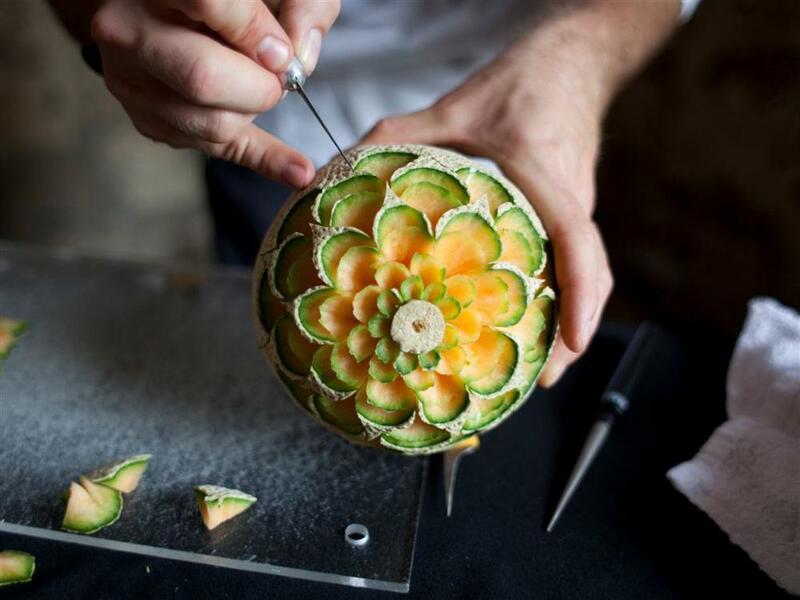 Tony Bien - melon carver extraordinaire - how fun to see our logo in a watermelon... Amazing craft! Feast of the Fields is fortunate to work with some very special people and groups. Our event is a collaboration of efforts and we very much appreciate this. We are not a profit making venture. 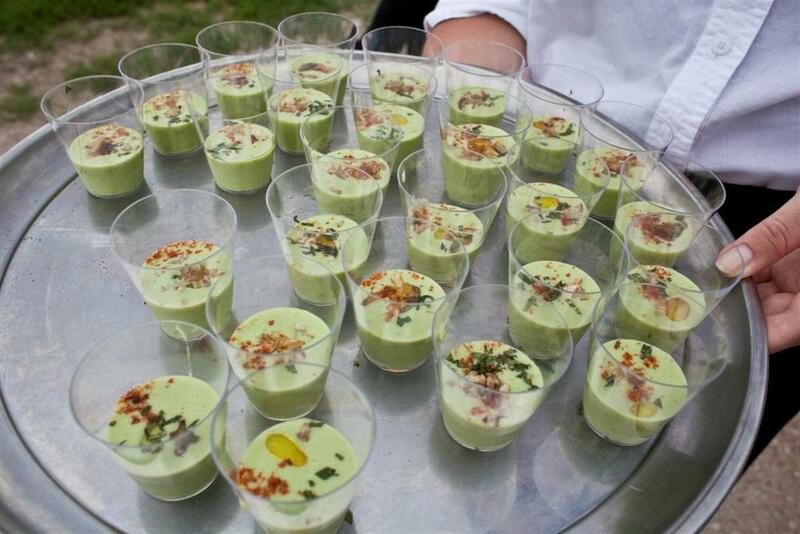 Any proceeds that we raise above expenses ar...e donated to culinary and/or ag related programs. This year, we are happy to provide a donation of funds to the Kansas FFA Leadership Program. These students are remarkable people and we have confidence in them to be a positive influence in our state, country, and world! The current and immediate past Kansas FFA Officers volunteered their service at our June 8th Feast and they were fantastic and enthusiastic! 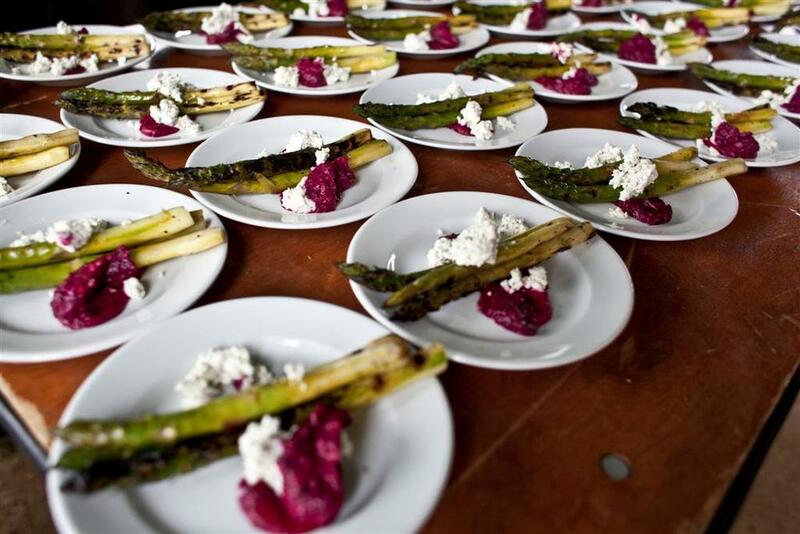 We hope they will consider coming back to the Feast in the Fall.